Dr. Timothy McNiff, superintendent of schools in the archdiocese, was one of the aides to the grand marshal. He reviews the parade, including a unit of Catholic school alumni as it passes. The appearance of the Cathedral High School marching band is always one of the high notes of the New York City St. Patrick’s Day Parade, and this march dedicated to Catholic education, was no exception. Kids lean forward to get a better glimpse of the action. Cardinal Dolan greets Loretta Brennan Glucksman, the grand marshal of the 257th New York City St. Patrick’s Day Parade, who led the March 17 march up Fifth Avenue while riding with her grandson, Liam Picco, 15, in their favorite hansom cab. St. Patrick’s Day in New York began, as always, on Fifth Avenue, but not with a parade. That came later, and it was as heart-stirring as ever. The celebration opened early in the morning with the traditional Mass in St. Patrick’s Cathedral, where the emphasis was on the spiritual legacy of St. Patrick and the example he set for bringing the light of Christ to the world. Cardinal Dolan, the principal celebrant, offered an enthusiastic “Fáilte” (“Welcome!”) to all, and added, “A blessed St. Patrick’s Day to everybody!” He greeted American and Irish dignitaries, including the parade grand marshal, philanthropist Loretta Brennan Glucksman, and “our legendary Fighting 69th,” soldiers of the 69th Regiment of New York, who marched into the cathedral and later led the parade up Fifth Avenue. This year’s parade was dedicated to Catholic education and to the 20th anniversary of the Good Friday Agreement in Northern Ireland. Among the aides to the grand marshal was Dr. Timothy J. McNiff, superintendent of schools in the Archdiocese of New York. 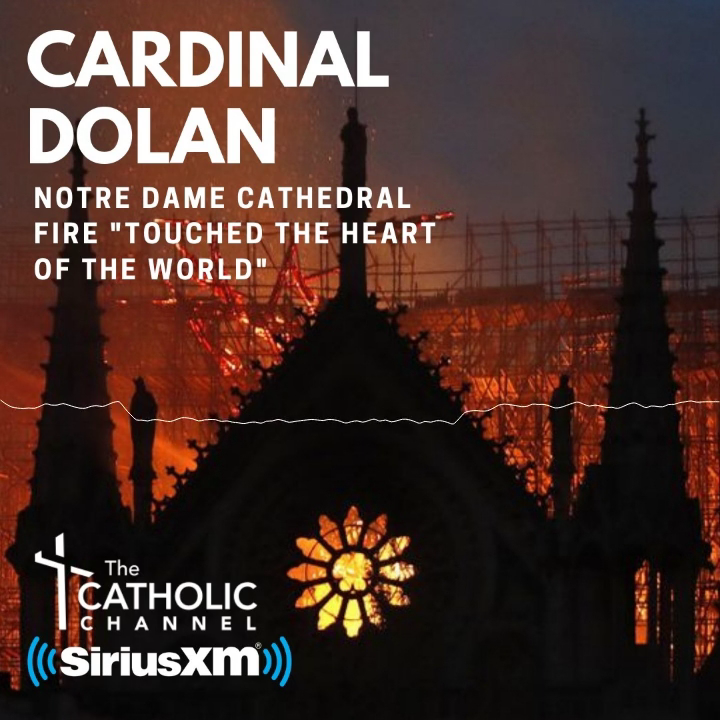 Cardinal Dolan spoke about the significance of the day. “Yes, we celebrate family and culture, and there’s going to be a lot of music and dancing and good fun,” he said. “But we’re especially about faith…the deep Catholic faith brought to Ireland by our beloved St. Patrick 16 centuries ago, and then brought here, to New York, by his spiritual sons and daughters. “It’s the feast of our archdiocese, the feast of this towering cathedral,” he said. The homilist was Bishop Dennis J. Sullivan of the Diocese of Camden, N.J. Born in the Bronx, and a former auxiliary bishop and vicar general of the New York Archdiocese, the bishop has worked extensively in the Hispanic community. He served for 20 years as pastor of St. Teresa’s parish in Manhattan, where he ministered to Chinese immigrants. “St. Patrick’s Day is certainly a day to celebrate with pride our American-Irish identity,” he said, but he also spoke of immigrants from many backgrounds. The bishop remarked that St. Patrick “also realized the importance of developing a native clergy and native bishops.” St. Patrick “imbibed Irish culture” so thoroughly that he learned the Irish language and translated the Bible into Irish. “There’s great scholarship going on in many centers for Irish studies,” she said. “Young people are eager to study all the wonderful richness of our culture. It’s living and dynamic and spreading out to other ethnicities…We have a master’s program now at Glucksman Ireland House, and we can’t keep up with the demand. And it’s not just Irish people.” Asian and African-American students are signing up, she said. Dr. McNiff, archdiocesan superintendent of schools and an aide to the grand marshal, told CNY that he was delighted that the schools were being honored. During the Mass, Cardinal Dolan remarked that there was one person he had forgotten to introduce. He put an arm across the shoulders of a small altar boy and said, “My nephew, Patrick Robert Dolan. Later, Patrick traded his cassock and surplice for a warm jacket and viewed the parade with his dad, the cardinal’s brother Pat. Young Patrick told CNY that it was “cool” to be serving Mass for his uncle. Viewing the parade in front of the cathedral was Rep. Peter King (R-NY).